I love ban chan (korean side dish). You can request them free of charge in most Korean restaurants (except those in Singapore? Lol). It goes well with everything and best of all, it can be stored. 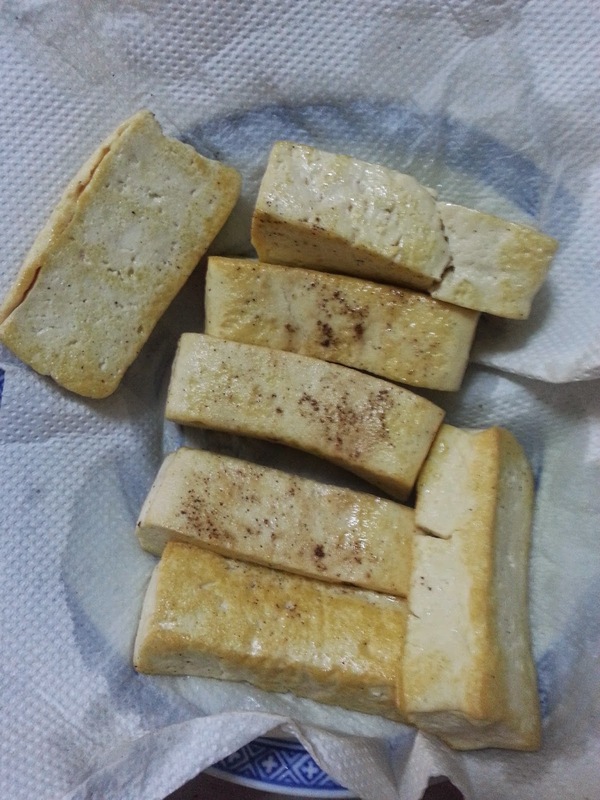 First, cut the tofu into long strips then sprinkle two pinches of salt and some pepper. 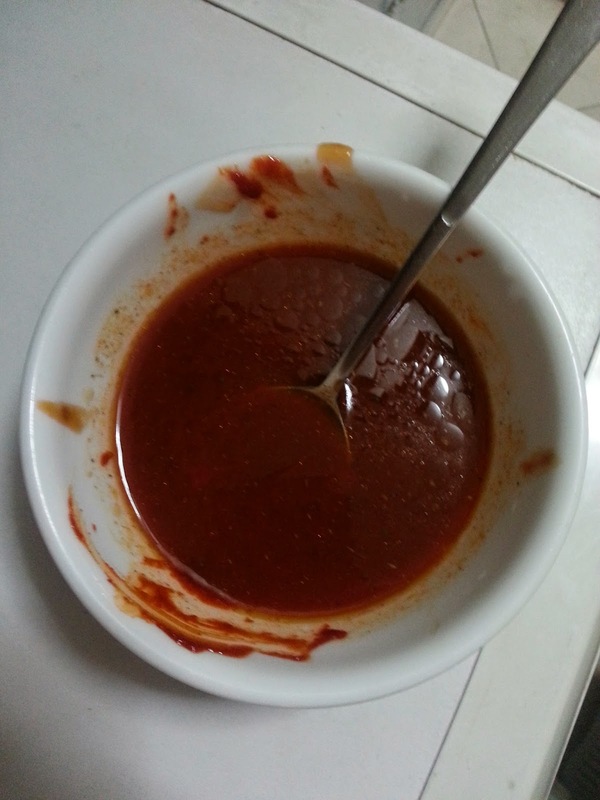 Then, mix the sauce (B). Cut 5 cloves of garlic into thin slices and dice half an onion. 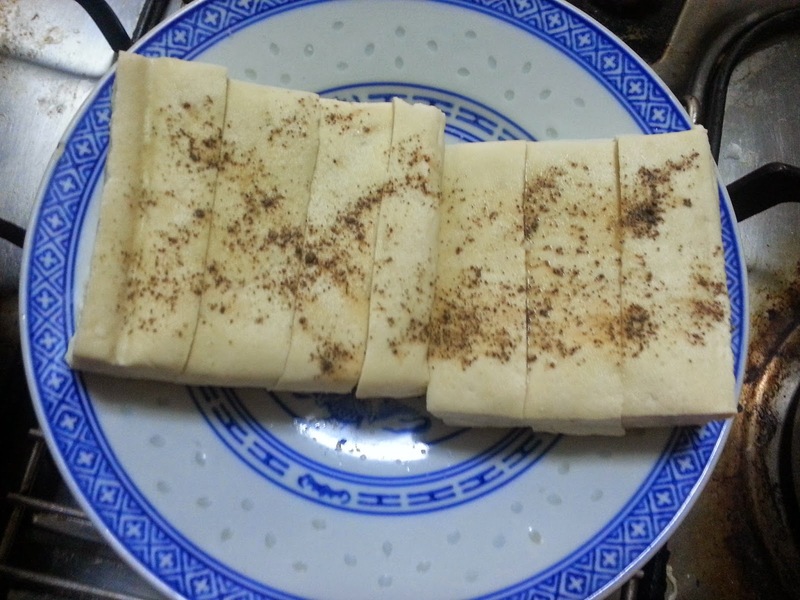 Fill the pan with 2 tbsp of olive oil and fry the tofu until they turn golden brown. 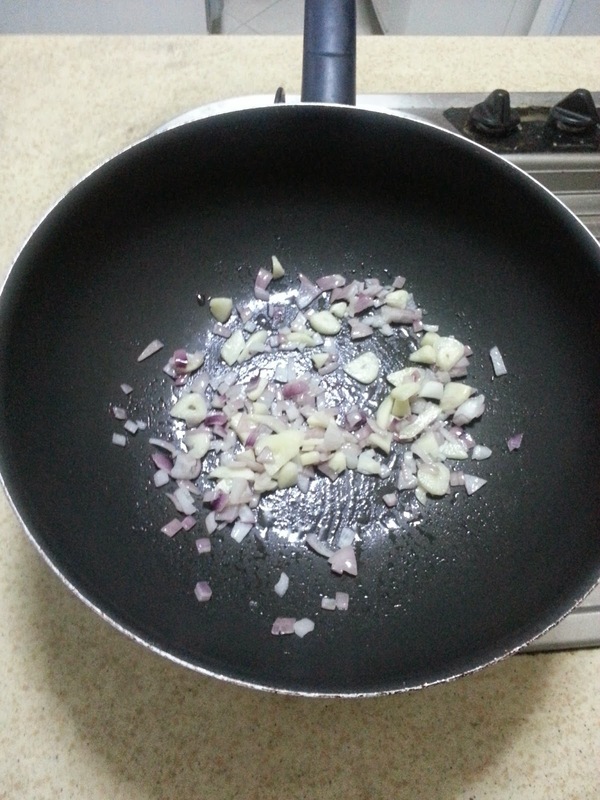 Then, fill a clean pan with 1 tbsp of olive oil and fry the garlic and onion until the garlic is starts to brown. Pour in the sauce (B) and wait for it to boil. 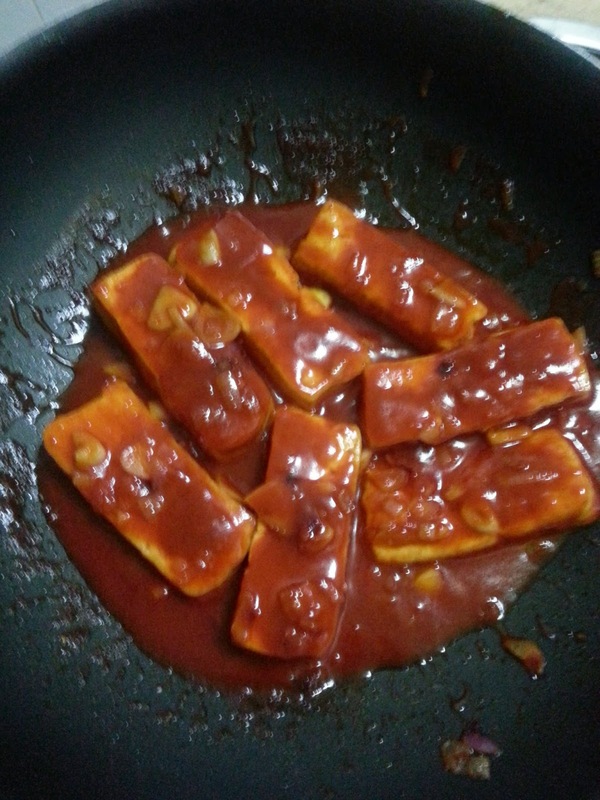 Then, put in the tofu and mix well. Wait for the sauce to bubble a little and off the fire. This goes well with rice, pour the extra sauce on top of your rice. You can refrigerate these as well.